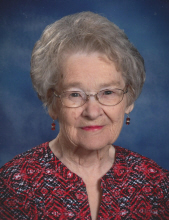 Cherryville - Mrs. Ruby Lee Huss, 93, passed away on Monday, November 12, 2018 at her residence. Mrs. Huss was born in Spartanburg County, SC on July 1, 1925 a daughter of the late Leo Parris and Eva Beheler Parris. She was retired from Doran Textiles in Cherryville. Mrs. Huss was a member of Second Baptist Church where she served on the Bereavement Committee, was a member of the Mothers Sunday School Class and the Happy Hearts. In addition to her parents she was preceded in death by five sisters and two brothers. Survivors include her daughter, Lynn Kiser and husband Robert of Cherryville; a granddaughter, Robbie Kiser Hollifield and husband Travis of Gastonia and two great grandchildren, Jenna and Jarrett Hollifield. Visitation will be from 6:00 to 8:00PM on Tuesday, November 13, 2018 at Stamey-Cherryville Funeral Home & Cremation Service. Funeral Services will be held at 3:00PM on Wednesday, November 14, 2018 at Second Baptist Church with Rev. Jerry Lail officiating. Memorials may be made to Second Baptist Church, 201 N. Houser Street, Cherryville, NC 28021 or to Gaston Hospice, PO Box 3984 Gastonia, NC 28053. Stamey-Cherryville Funeral Home & Cremation Service is serving the family of Mrs. Huss. To plant a tree in memory of Ruby Lee Huss, please visit our Tribute Store. "Email Address" would like to share the life celebration of Ruby Lee Huss. Click on the "link" to go to share a favorite memory or leave a condolence message for the family.